When you say "Science Fair", many Science teachers cringe. Either projects are created and planned out so they can be done in class, or they are sent home as homework for a month or so. So often, the projects are hastily thrown together at the last minute (was that due today?!?!) or, even worse, are beautifully crafted by the parents (who is in school?). We like to do things differently. Rather than having a Science Fair, we have been doing a STEAM Fair for the past few years. A couple of weeks ago, I was really excited when discussing our STEAM showcase this year. We were all ready to go, with lots of 'Evergreen' apps (I just learned this term this week, which means an app that can be used across subject areas, not just an app for a particular topic) including PicCollage, Tellagami, and Aurasma. Then, the lightning hit. Yes, a bolt of lightning hit our school, and it totally messed up our technology. Our WiFi was out for over a week (while we waited for new parts). So, the STEAM Showcase was rescheduled. And It.Was.Awesome! This is from our engineering class. The students used Kinex to create a self-propelled vehicle. As they created the car, they took pictures. Then, they took a video of the car actually moving by itself. 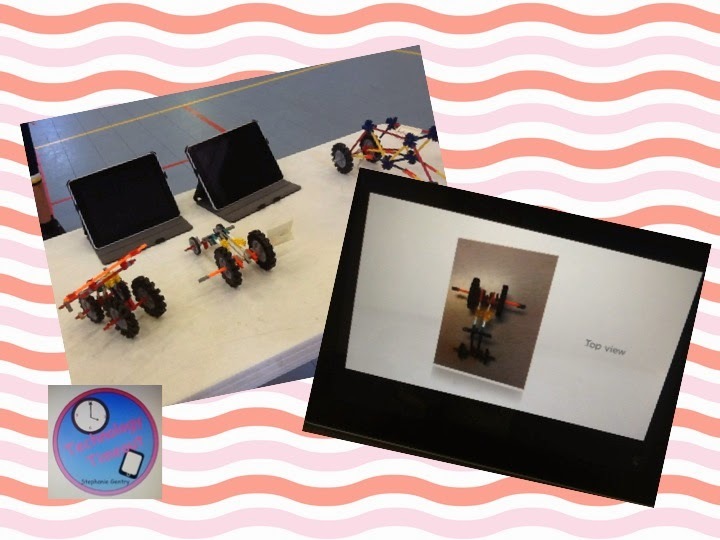 Then, they imported the pictures and the video into Animoto, added text and created a movie of how to make a self-propelled car. Very cool! This project was done by a high school science class. The app was called Nova, and it pretty much breaks down the periodic table of elements. Using the app, you are able to 'build' different elements using protons, neutrons, and electrons. There is sometimes a video related to the element. 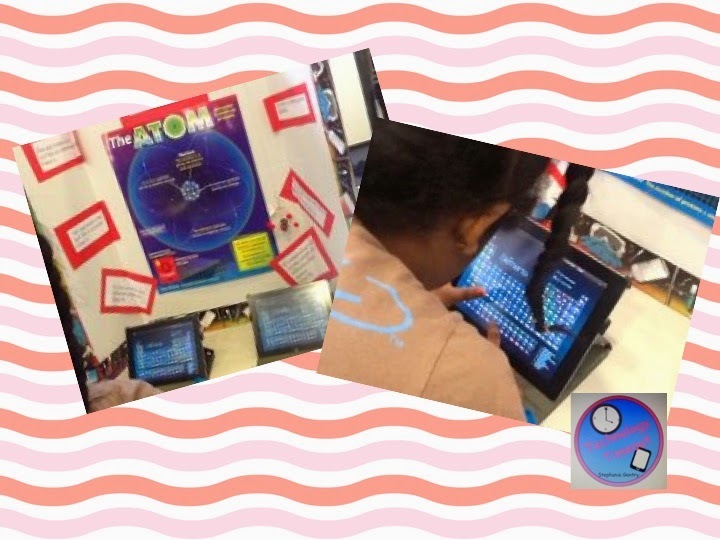 Students from the class took turns asking students visiting the fair questions about elements, and they had to use the app to find the answer. These next projects were done in middle school science. This project was all about photosynthesis. 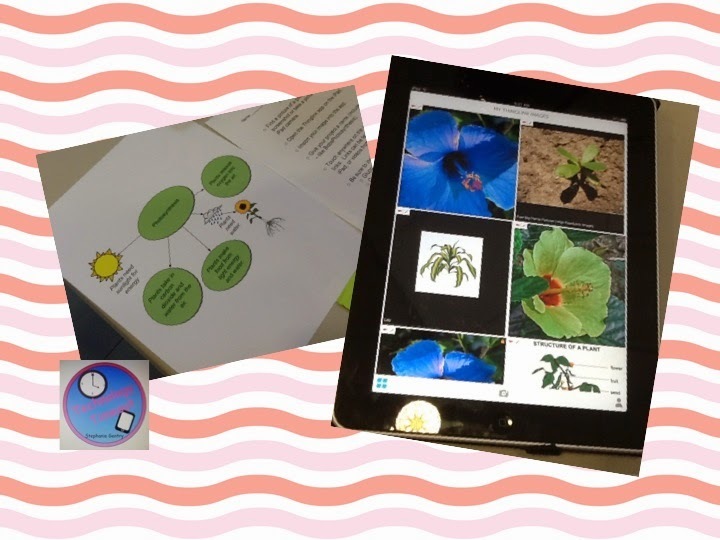 After creating a graphic organizer, students created a Thinglink that linked to pictures, videos and information about photosynthesis. 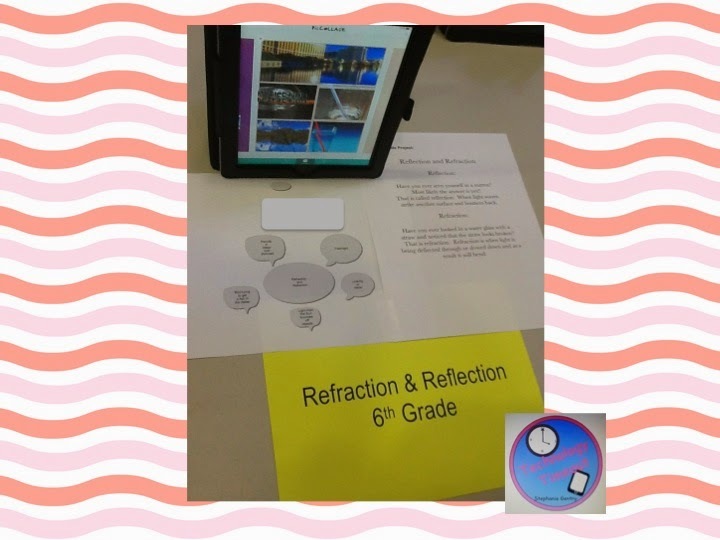 This student used PicCollage to create examples of refraction and reflection. 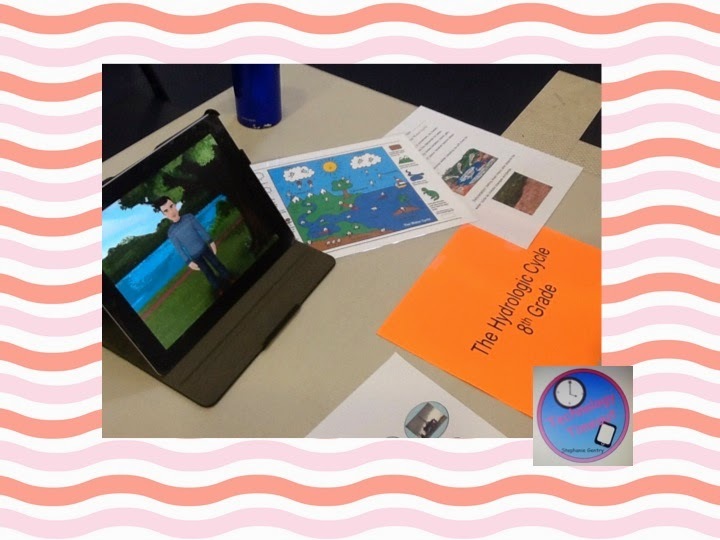 This student used Tellagami to create a video explaining the water (hydrologic) cycle. Have you ever used any of these apps?